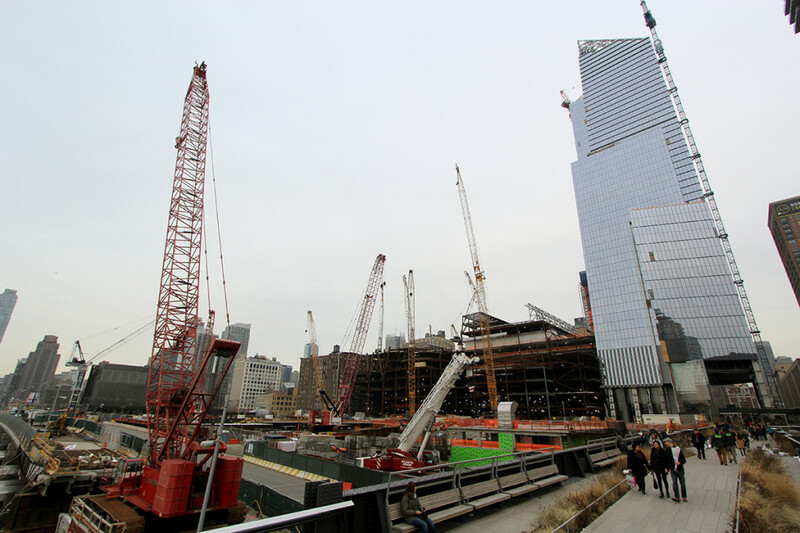 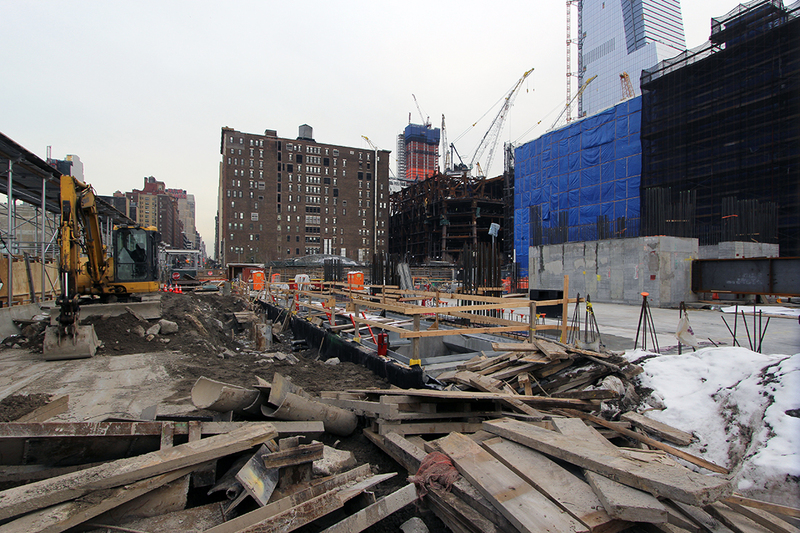 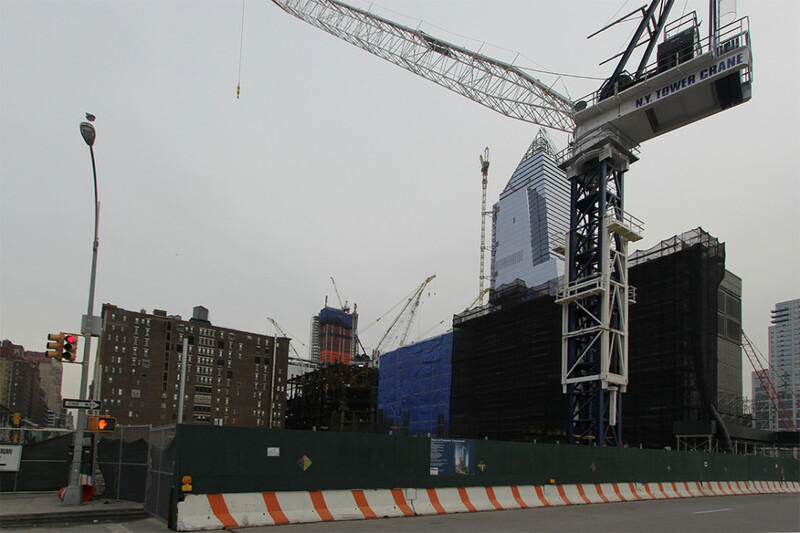 One year since groundwork began, 55 Hudson Yards is starting its ascent into the the far west side skyline. 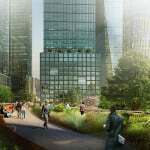 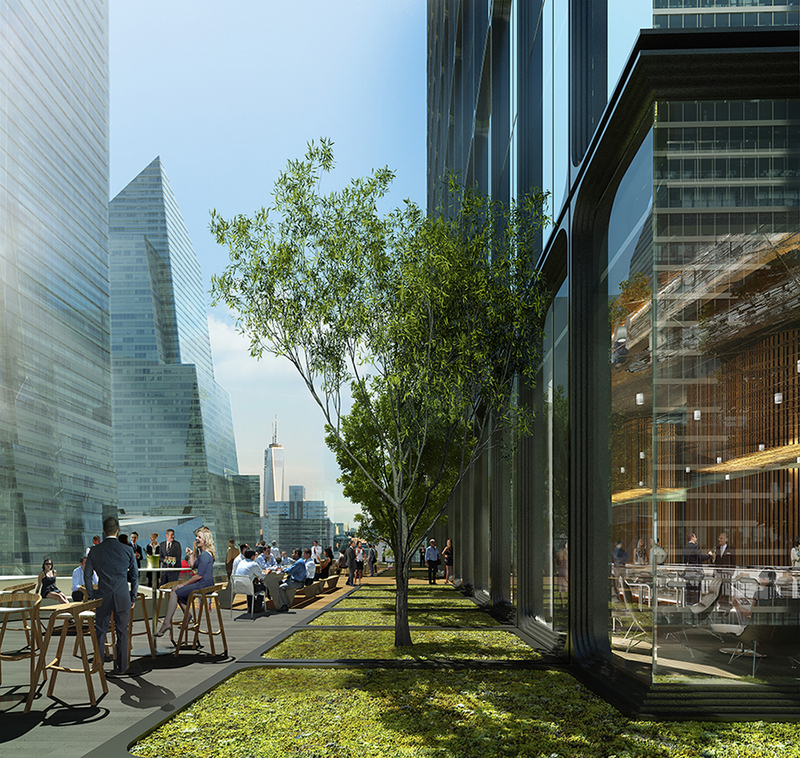 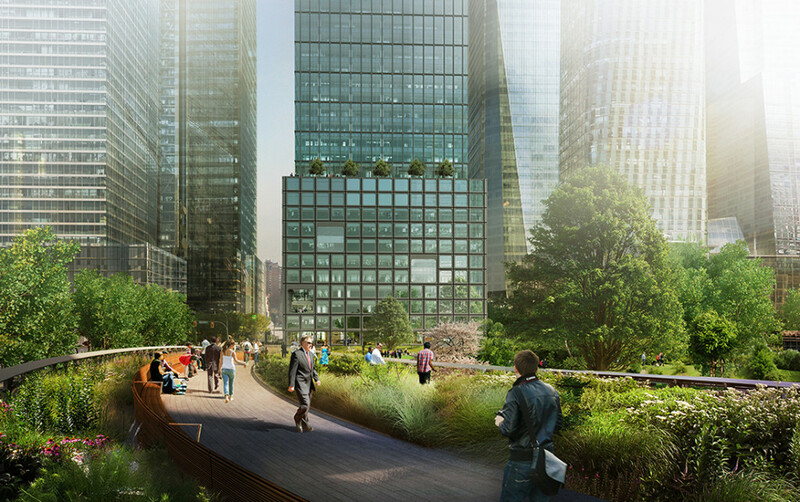 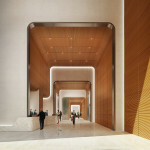 The future 51-story, 1.3-million-square-foot tower is the third office building to rise from the 28-acre Hudson Yards master plan, behind the Coach building at 10 Hudson Yards and Time Warner’s 30 Hudson Yards. 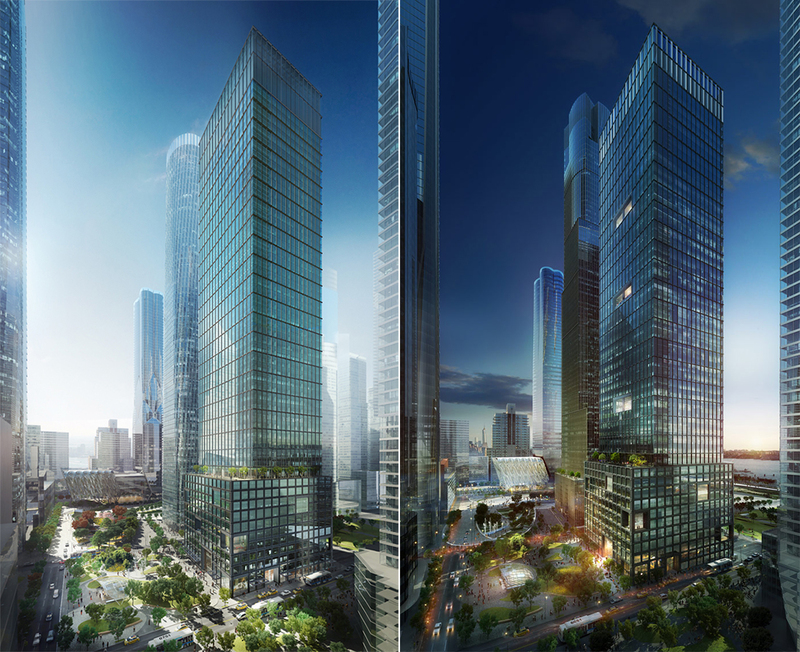 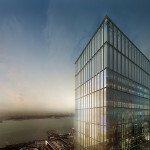 Fifty-Five Hudson is being spearheaded by a partnership between Mitsui Fudosan America, Inc. (MFA), Related Companies, and Oxford Properties Group. 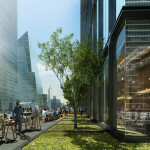 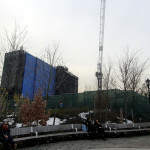 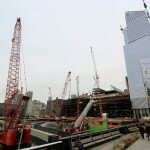 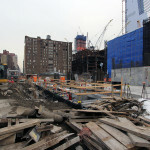 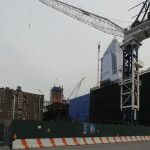 Previously the parcel was owned by Extell Development who once planned a diagrid-ed skyscraper named One Hudson Yards (formerly the World Product Center). 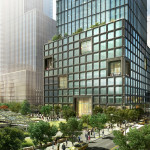 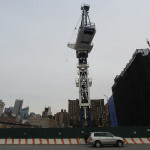 The site is positioned just north of the west side rail yards on a full-block parcel bound by Hudson Yards Boulevard, Eleventh Avenue, West 34th Street and West 33rd Street. 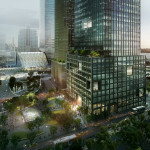 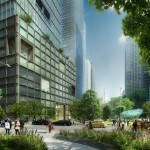 The building will open onto the new Hudson Boulevard and the recently open subway station for the 7 train. 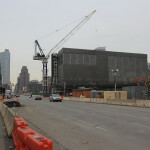 A brick-faced ventilation building that serves the subway extension rises from the southwest corner of the parcel and will be absorbed into the building’s massing. 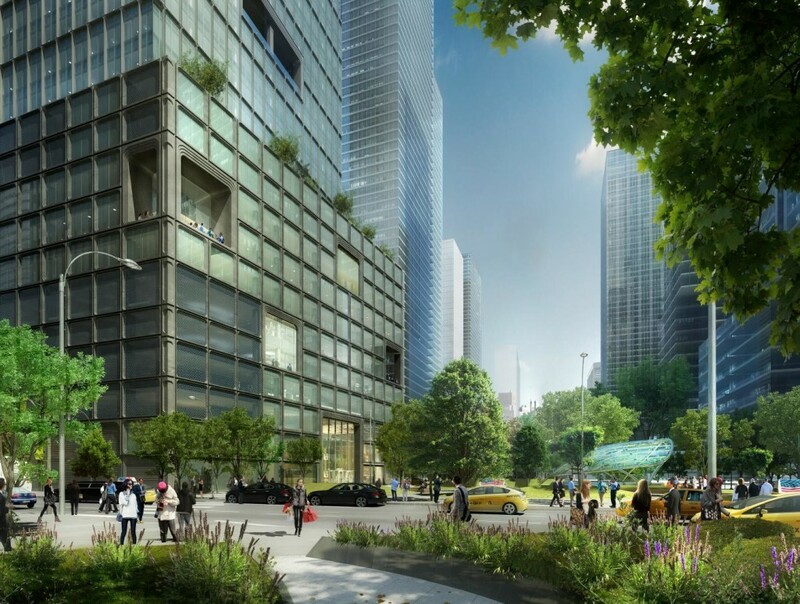 Kohn Pedersen Fox and Pritzker Prize-winning architect Kevin Roche are the designers of the 779-foot tower. 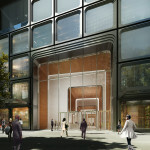 Its exterior is defined by its coffer-like facade and double-height terraces. 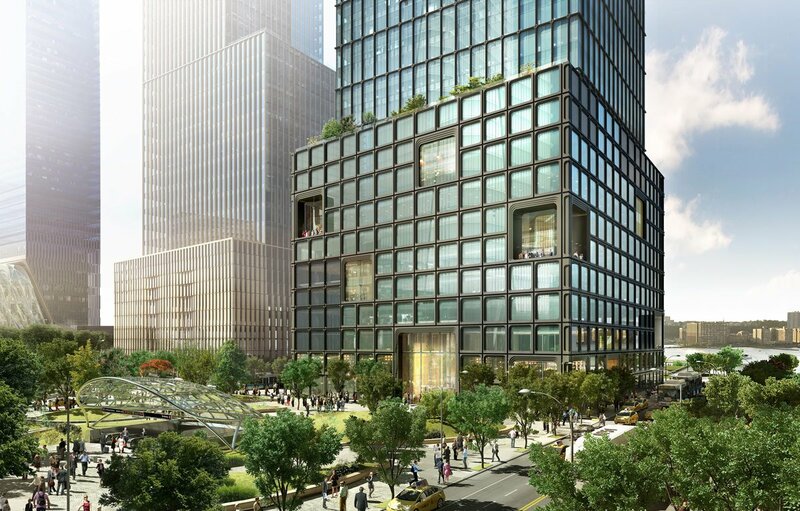 A setback along the 10th floor will offer tenants views of the High Line, Hudson River and Hudson Boulevard Park. 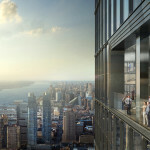 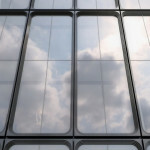 The building’s skin, said to be inspired by cast-iron architecture, early-modernism and the High Line, is composed of large floor-to-ceiling windows set within matte metal frames with filleted corners. 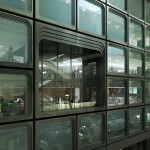 Inside, efficient, light-filled office layouts are provided to appeal to service-type tenants looking for modest-sized floor plates. 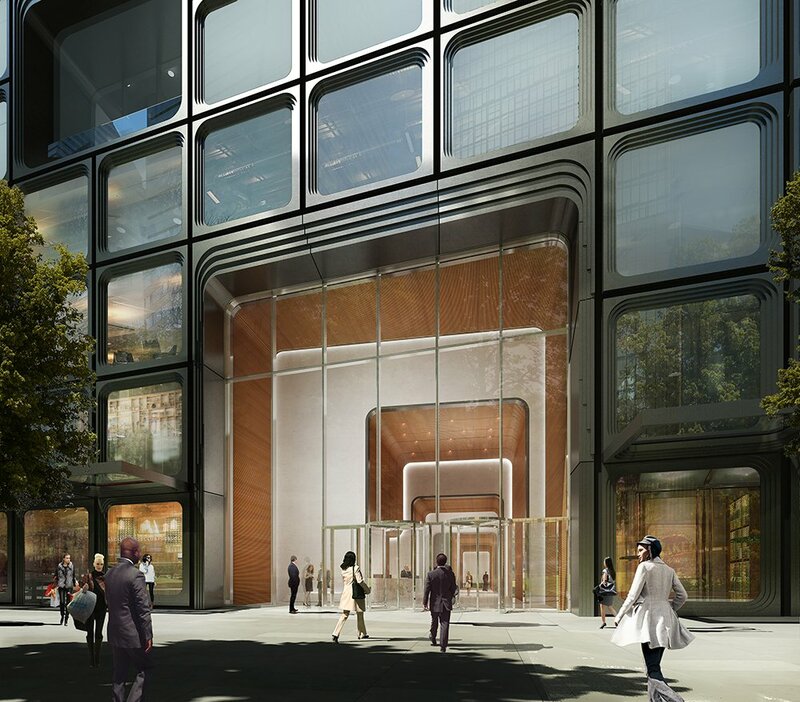 Law firm Boies, Schiller & Flexner has already committed to three floors amounting to 83,000 square feet of space and the Post reported in July that several other companies including Major League Baseball are looking at the building. 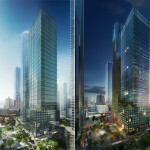 Floor plans and availabilities can be found on the project’s webpage. 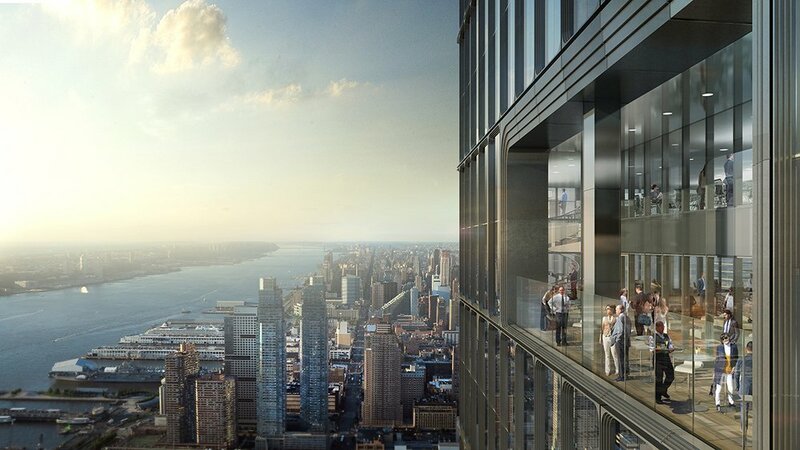 The tower is slated to open in 2018 and the reported average asking rents range from $85 to $105 per square foot.